The Bulldogs and 67’s return to the playoffs after each team was ousted in the 1st round last year. 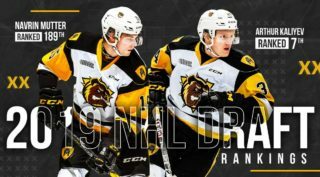 Hamilton went in to last years playoffs as the 5th seed and fell to the Kingston Frontenacs in a bitterly close 7-game series. Ottawa sat as the 7th seed last year, and were defeated by the Mississauga Steelheads in 6 games. Hamilton and Ottawa also have their leading scorers from the 2017 postseason. 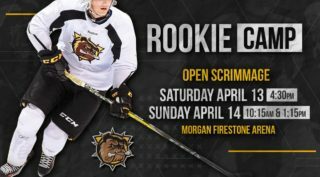 Matthew Strome drove the Bulldogs’ offensive arsenal a year ago with 8 points (1 goal and 7 assists), while defenceman Noel Hoefenmayer lead the way for the 67’s with 7 points (2 goals and 5 assists). Although no goalie in this series has started an OHL playoff game, Ottawa’s overage goaltender Olivier Tremblay started 11 playoff games in the QMJHL split between Victoriaville and Rouyn-Noranda, posting 4 wins, 6 losses a 3.25 GAA, a 0.894 SV% and one shutout in those starts. Hamilton’s Kaden Fulcher is coming off a fantastic regular season that saw him finish top 10 in wins (4th), saves (9th), and goals against average (9th) amongst goalies with 20 or more games played. 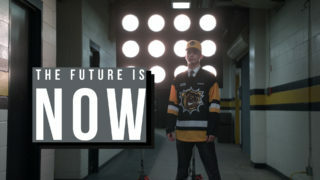 Fulcher’s only playoff appearance came last year in Hamilton’s playoff series against the Frontenacs where he appeared for 40 minutes in relief of Dawson Carty. Fulcher is expected to make his first OHL playoff start this Thursday. Olivier Tremblay carried the bulk of the workload in net for the 67’s during the regular season appearing in 52-games, posting a 25-15-4-2 record, a 3.27 GAA and a .891 SV%. Coming off his first career hat trick and second 4-point game of the year, Studenic has steered the Bulldogs’ offence in the right direction with 6 points in his last 3 games. 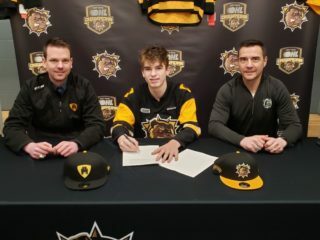 This will be Studenic’s second time in the OHL playoffs as the New Jersey Devils prospect was part of last year’s Bulldogs team that played Kingston and recorded 2 goals and 2 assists. 67’s right-winger Tye Felhaber was the hottest 67 down the stretch. In his last 3 games, Felhaber potted 3 goals and added 5 assists to go along with 13 shots on goal. He is no stranger to playoff hockey as this will be his 4th year playing in the OHL playoffs. He has totalled 2 goals and 4 assists in 14 career playoff games while playing for the Saginaw Spirit and the Ottawa 67’s. The Bulldogs’ power play was electric this season as the team capitalized on 24.6% of their chances, good for 4th best in the OHL. This will be key for the Black and Gold as the 67’s gave up the second most power play opportunities in the league. Brandon Saigeon has been in the drivers seat this year for the Bulldogs’ power play. The 4th year centre’s 16 power play goals in the regular season were the 2nd most in the OHL. Are The Bumpy Roads Behind Them? The 67’s are hoping to create some consistency in their play as the last ten games saw the team produce some mixed results. Ottawa had impressive wins against Kitchener (5-2), North Bay (4-2 and 5-0) and Barrie (5-4), but the club also suffered big losses against the Frontenacs (7-2) and the Steelheads (5-1 and 5-2) in that span as well.